For over 2 years, we’ve tested our curriculum with college students studying Korean at Ivy League universities. 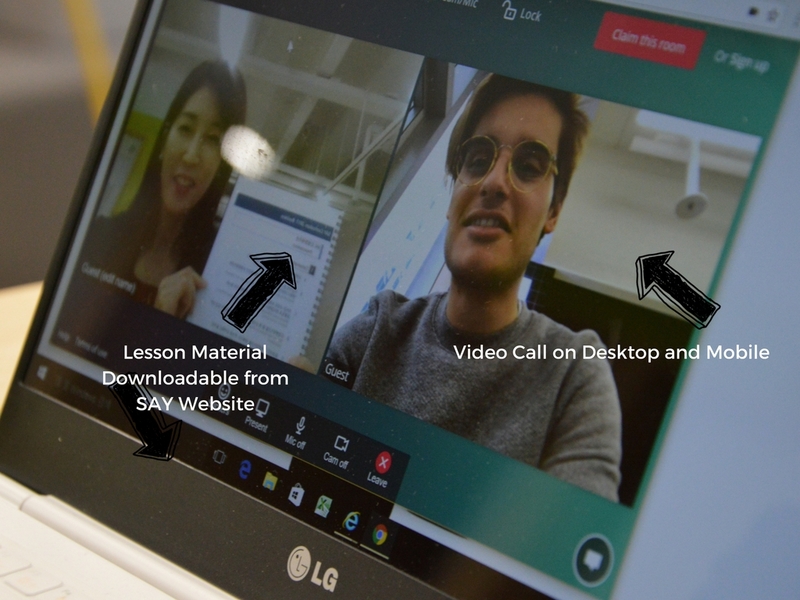 The SAY platform is the culmination of our hard work and dedication to making sure anyone, anywhere, can learn the Korean language and speak it confidently. 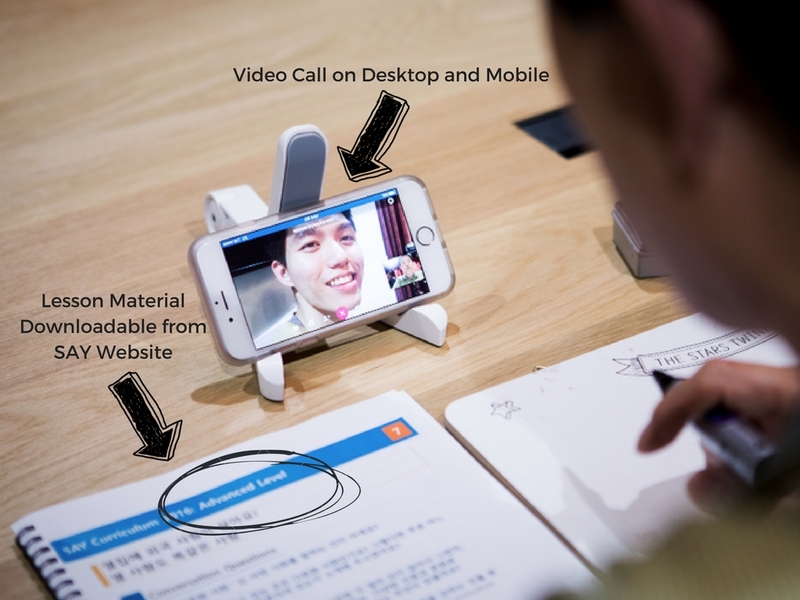 The SAY conversation-based curriculum is designed with the help of our Yonsei Korean professor. It is for those who want to learn Korean and, most importantly, improve their Korean speaking skills. It’s designed not only to help you learn the Korean alphabet letters but quickly pick up the vocabulary and grammar to start forming phrases and sentences. From the first lesson, you’ll be matched with a tutor best suitable for your learning needs and speaking level. For each level, you will be able to pick lesson topics based on some of the most common daily life activities, such as “grocery shopping” or “attending a k-pop concert.” We provide icebreaker-style questions that are open-ended to give you freedom to express yourself, a short vocabulary list with only the most relevant Korean words and phrases, and grammar structures most useful for these types conversations. 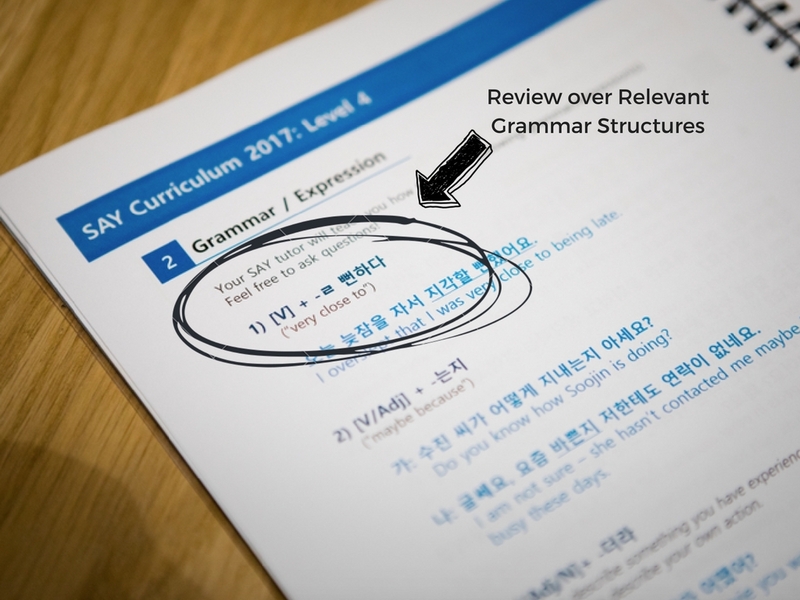 Once you choose your preferred topic, your tutor will help you construct sentences from basic Korean words and grammar structures provided in each lesson. Keep in mind that each lesson will be tailored to your needs. All lesson materials can be viewed and downloaded from your dashboard once you schedule your lesson, and your tutor will write a feedback form after each class to help you review what you learned during class. The lessons progressively get more advanced as you level up.